Singapore-based private equity firm L Catterton Asia has picked up a stake in restaurant chain operator Impresario Entertainment and Hospitality Pvt. Ltd, executives at the two firms told VCCircle. The deal involves a fresh infusion of funds into Impresario and a secondary transaction to let existing PE investor Beacon India exit, Impressario founder Riyaz Amlani said. The total deal value is at least Rs 130 crore, he said. “L Catterton specialises in consumer investing worldwide and has significant experience and success in building food and beverage brands such as Crystal Jade, Ce La Vi and Cheddar’s Scratch Kitchen,” Amlani said, on why the firm had chosen to bring on board L Catterton. Impresario Entertainment runs café chain Social and restaurant chain Smoke House Deli. “Social in particular is targeted at the millennials in India, which is an attractive and growing segment,” said Ravi Thakran, chairman and managing partner at L Catterton Asia. VCCircle had first reported that L Catterton was eyeing a stake in Impressario in June this year. The report had also said that Impresario planned to use the primary capital to expand its café business under the Social brand. It was planning to come up with 100-150 Social outlets within five years. It runs 15 such outlets in four cities. VCCircle had first reported last December that the company was exploring options to provide an exit opportunity to Beacon India. Beacon had invested Rs 38 crore in the company. It had first invested Rs 25 crore in 2008, according to VCCEdge, the data research arm of VCCircle. It put in more money in Impresario, along with Mirah Hospitality and Food Solutions Pvt. Ltd, in 2011. According to VCCircle estimates, Beacon may make around three-fold return on its investment. Its internal rate of return, or annualised return, would be a little above 20%, and so in the 20-30% range that private equity firms typically chase in local currency terms. Impresario was founded in 2001 and began its journey with Mocha Café, which has been its claim to fame. It now runs restaurants under eight brands including dining chain Smoke House Deli, Salt Water Café, The Tasting Room, Stone Water Grill and Le Kebabiere. It runs 11 Smoke House Deli outlets across Delhi, Mumbai, Bengaluru and Kolkata, and wants to restrict its unit expansion to 20-25 outlets, a person familiar with the company’s plan had earlier told VCCircle. The company had earlier planned to raise money for constructing 60 Smoke House Deli and 70 Social outlets. It doesn’t want to operate either Social or Smoke House Deli through franchisees. But all of its 18 Mocha Café outlets are run through franchisee partners, and it had previously said that it would like to continue the brand’s expansion through the same model. The company posted net sales of Rs 184 crore for 2015-16. It had targeted revenue of Rs 220 crore for 2016-17, but it couldn’t be immediately ascertained whether it met its goal. The investment firm was earlier known as L Capital. L Catterton Asia was created last year when French luxury goods conglomerate LVMH combined its PE business held under L Capital Asia with Catterton, a consumer-focussed PE firm. L Capital had virtually stopped investing in India. Its last deal in India was in 2012, when it invested in GLF Lifestyle Brands Pvt. Ltd, according to VCCEdge. So, the deal with Impresario is its first investment in almost five years. During this period, L Capital was just managing its India portfolio. It struck a couple of exit deals last year and the year before. It exited ethnic retailer Fabindia late last year. In 2015, it had exited PVR Ltd, the country’s largest multiplex chain operator, and PVR Leisure, the mall entertainment and gaming arena arm of PVR. It counts apparel retailer Genesis Luxury among its Indian portfolio firms. Earlier on Thursday, Gaja Capital said it had picked up a stake in Massive Restaurants, which runs the dining chain Rajdhani Thali and QSR falafel. Several other hospitality firms are also scouting for investors. Farzi Café is in discussions with private equity investors to raise its second round of funding. Mumbai-based Olive Bar & Kitchen Pvt. Ltd is reported to have hired EY’s investment banking arm to let Aditya Birla PE make an exit. 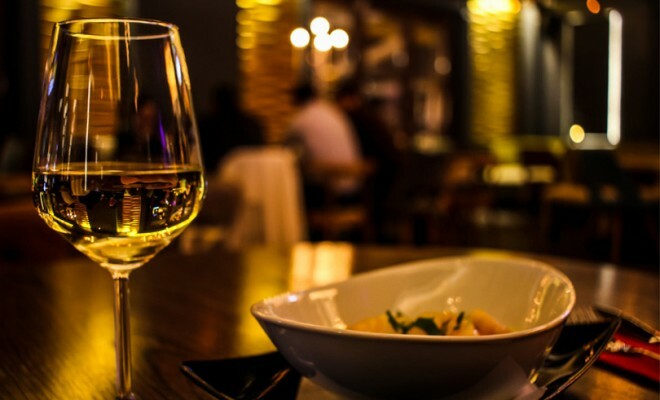 Big Fish Ventures, a Delhi-based startup that runs premium dining lounges such as Vault Cafe and Public Connection, was also reported to be in talks with private equity firms to raise about $25 million.